My eldest daughter recently turned 8 and decided she wanted a “lollies” cake like the one I made for her friend earlier this year. What she meant was she wanted an anti-gravity cake. 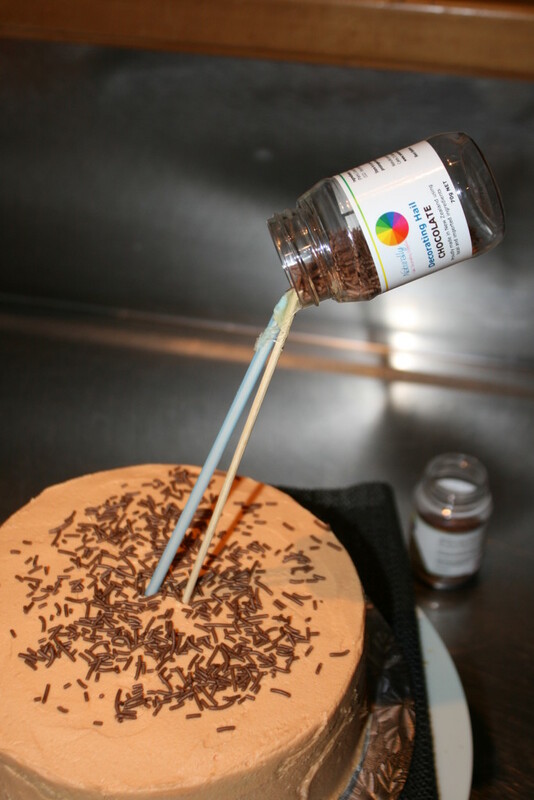 Anti Gravity (also referred to as Defying Gravity) Cakes generally have a solid object held over that cake, often pouring something onto the top of the cake. 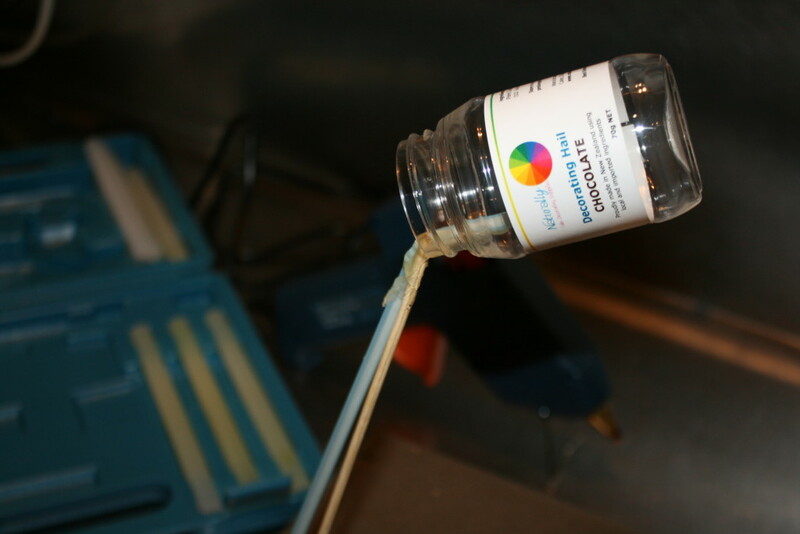 These can look very impressive and are actually relatively easy to create. 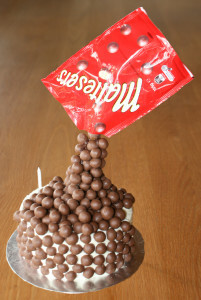 I made the friends cake using Maltesers and it was a huge hit and got a few “Wow’s” from the grown ups. The cake I made was a chocolate orange cake so it only seemed fitting that the icing was orange (a combination of red and yellow Naturally Colourful Food Colouring). 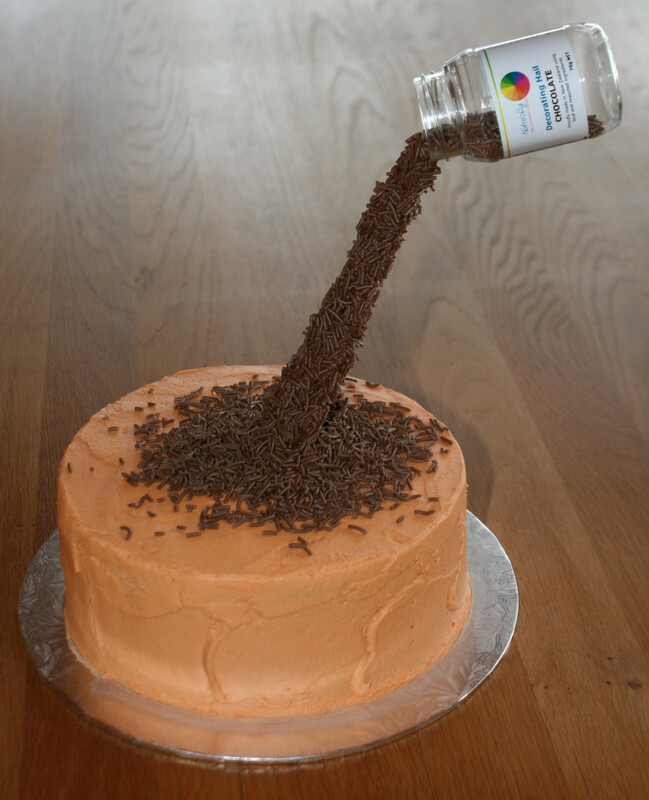 Once the cake was iced, mine was a little rustic, I sprinkled a scattering of Sprinkles over the top. 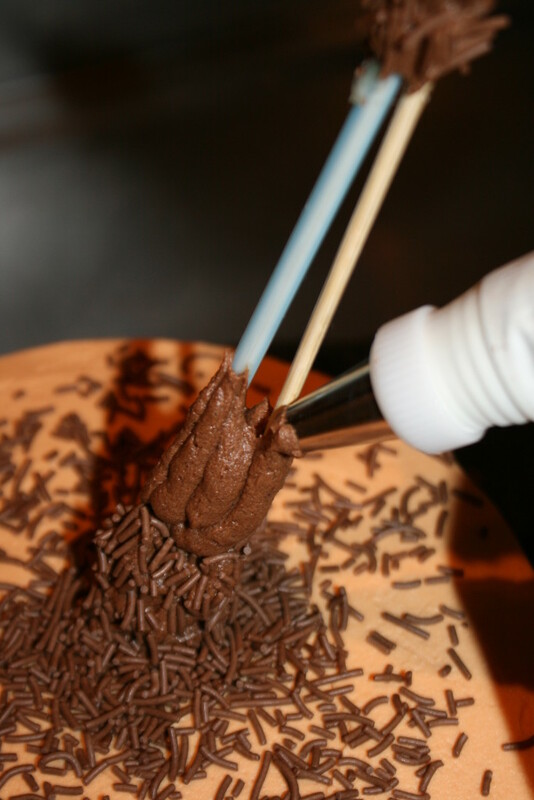 Next I added a few tablespoons of Sprinkles into the jar and then positioned the skewers into the cake, making sure the skewers went all the way through the cake to securely hold it. Lastly I made sure the pile of Sprinkles on the cake was just how I wanted it. 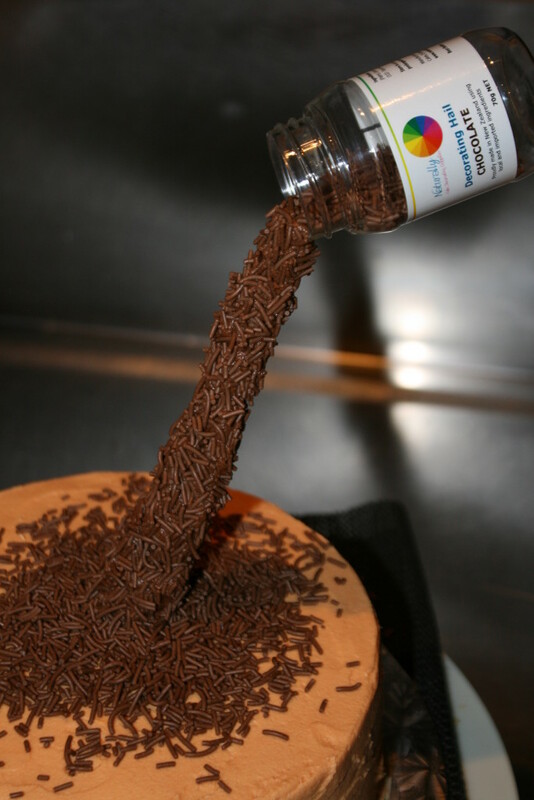 You can get quite creative with this part of it, having the stream of sprinkles/lollies cascading over the side of the cake, or you can put a little barrier such as chocolate finger biscuits around the edge of the cake to hold them all in. The possibilities are endless and so is the inspiration you can find by searching on Google. Happy caking!